The policy applies to hospital employees as well as the thousands based at the corporate office in Somerville. Partners HealthCare is taking a tough new approach to flu prevention. For the first time, the state’s largest network of hospitals and physicians is requiring all of its 74,000 employees to get vaccinated against the flu. Employees who don’t get the vaccine and don’t have a valid reason for skipping it risk losing their jobs, even if they don’t work with or near patients. Though Partners is not the first health care provider to mandate vaccination — other hospitals require flu shots for employees who work closely with patients — the Partners policy appears to be particularly strict. The move is significant because Partners is the state’s largest private employer, so its policies are watched by other companies in health care and other fields. Partners’ new policy, which went into effect this fall, seems to be working. As of last count, 99 percent of employees had been vaccinated or had received an exemption for religious or medical reasons, Partners officials said this week. The policy applies to hospital employees as well as the thousands based at Partners’ big corporate office in Somerville. While most of the Somerville employees don’t work directly with patients, they could come in contact with and spread illness to colleagues who regularly see patients. The last flu season was record-breaking. The Centers for Disease Control and Prevention estimates that more than 900,000 Americans were hospitalized and more than 80,000 died from flu last season. The effectiveness of flu vaccine varies — last season it reduced the risk of illness by 40 percent — but medical experts say that is far better than no defense at all. The CDC recommends vaccination for almost everyone 6 months and older. Partners is the parent company of Massachusetts General, Brigham and Women’s, and several other hospitals. The company’s new rules are modeled on a mandatory vaccination policy implemented at the Brigham last year. The Massachusetts Nurses Association sued to try to stop the Brigham policy, but the union’s case was dismissed in Suffolk Superior Court in March. Brigham spokeswoman Lori Schrothsaid five employees were terminated for failing to get their flu shots last season: three administrative workers, one research coordinator, and one health technician. She said 98 percent of employees received the vaccine last season, while 2 percent received exemptions. The nurses union still has concerns about the mandatory vaccination policy, according to a union spokesman, but it isn’t planning further legal action. The Massachusetts Department of Public Health requires hospitals and other health care facilities to offer free flu shots to employees and to track how many employees get vaccinated. Health care facilities have been working to boost their vaccination rates. 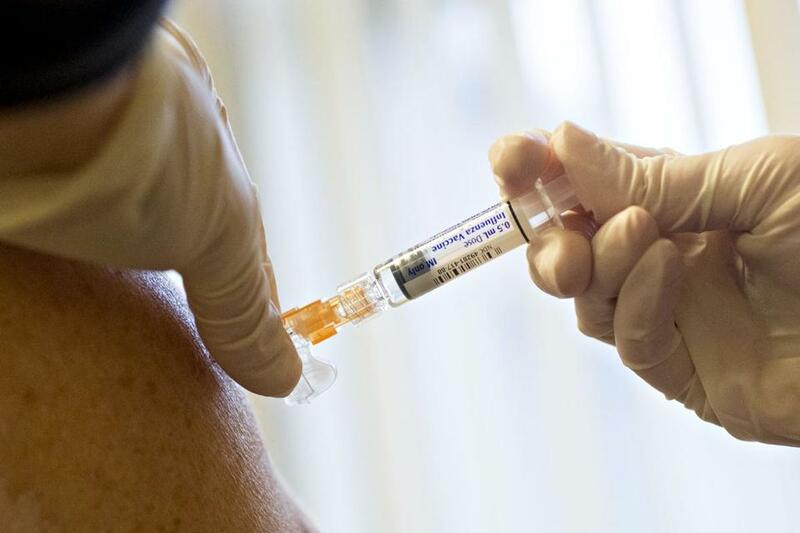 A median of 94 percent of Massachusetts hospital workers were vaccinated last flu season, according to the Department of Public Health. That’s up significantly from just 53 percent of hospital employees who were vaccinated a decade ago. The Massachusetts Health & Hospital Association, an industry group, supports policies that require all health care workers to be vaccinated, and several hospitals have already made vaccination mandatory for employees who work directly with patients. Beth Israel Deaconess Medical Center requires flu vaccination for “all employees and physicians who have patient contact.” Since the policy was put in place in 2012, two employees resigned or were terminated because they failed to comply, spokeswoman Jennifer Kritz said. Boston Children’s Hospital began a mandatory vaccination policy in 2010 for all workers who access patient care areas, but hospital officials declined to say whether they’ve fired anyone for refusing the vaccine. All Boston Medical Center employees must be vaccinated. Those who don’t get vaccinated and don’t receive an exemption are required to stay out of work without pay until they comply with the policy. Spokesman David Kibbe said hospital officials work with all employees to ensure compliance and haven’t terminated anyone for refusing the vaccine. Some hospitals have more lenient policies that allow employees to decline the vaccine. But even in those cases, employees are generally required to wear masks when they’re in patient areas. Martin W. Healy, chief legal counsel at the Massachusetts Bar Association, said hospitals that make vaccination mandatory for their workers must allow for exemptions — otherwise, they risk being sued for discrimination. “There definitely needs to be procedures and policies put in place . . . to have a reasonable accommodation for workers who cannot receive the vaccination for one reason or another,” Healy said. Peak flu season is on the horizon. Cases of flu usually spike from December to February, according to the CDC.